Aside from travelling, reading is another one of my passions. From my mum and my grandparents reading with me as a child, to achieving a 2:1 in my BA English Literature last year, books have been large part of my life for as long as I can remember. I could not imagine a life without reading, and those who never read I will never understand. It really is a gift, and every gift is to be shared so, (since it is of course World Book Day today) below I have compressed my reading to career so far into five key books that are very important to me. Ok, so it’s number one and I’ve already cheated. This is of course not one book – it’s a whole load of them, but all of them were such a special part of my childhood and my introduction to books and reading. 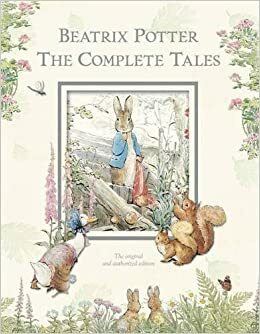 Beatrix Potter Collection. Image from Amazon. I remember my mum always had this enormous anthology of them that we used to read from, and I loved it; the stories, the pictures, everything. I also had a Peter Rabbit teddy when I was a baby from my uncle, but I don’t know whether this is actually a direct link or just a joke with my name… Either way, I still have it and he is very much loved. Not only are these texts special to me as a part of my early childhood and introduction to reading, but also because I decided to write my BA dissertation on them last year. It was interesting to revisit the texts now I’m much older, and even more so as I was writing about their hidden, darker themes – and trust me there were loads! I would definitely recommend revisiting your childhood favourites, you will definitely see a completely new side to them! 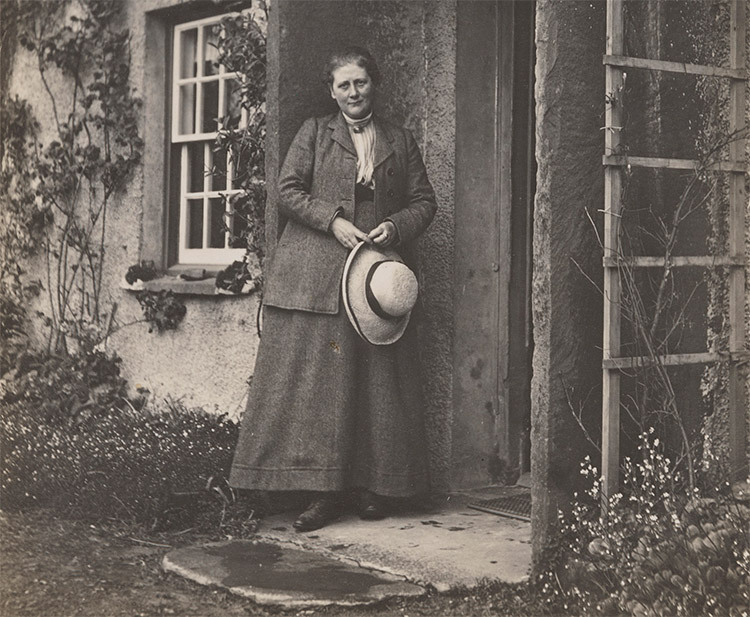 Beatrix Potter in the Lake District. Image from History Today. 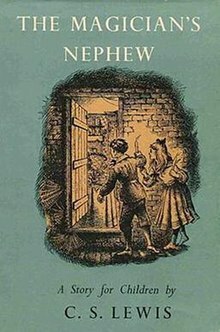 The first in C.S Lewis’ series about a magical land called Narnia is often mistaken to be The Lion, the Witch and the Wardrobe, but actually it’s The Magician’s Nephew, despite it being the sixth book out of the seven to be published. This also happens to be the first novel I ever read (with the help of my granny), and it’s still my favourite of the whole series. Cover from the first edition. Image from Wikipedia. It is a sort of prequel to the main story which sees the creation of Narnia, 1000 years before The Lion, the Witch and the Wardrobe, within the frame narrative of two children experimenting in “wood between worlds”, travelling to a number of parallel lands through a variety of small pools. Illustration by Pauline Baynes from the 1955 edition. From the very first page of this novel, I knew I’d be hooked and it was the first series I really really got involved with (I know, not Harry Potter – sorry!). I need to revisit them to be honest, but I’d say these books definitely mark where my real passion for reading started. Thanks Granny! 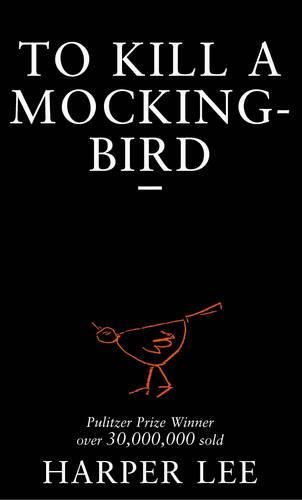 When I started writing this post I knew I would have to write about To Kill A Mockingbird. It’s that one text that pretty much everyone in the UK studies at school and you either love it or hate it because of this. I, for one, loved it – and still do! I have around 5 copies and even a first edition copy of Lee’s sequel, Go Set A Watchman, which was printed in her home town. Yes, I’m that person. I really enjoy the child perspective of the text, and how it tackles some quite difficult issues in this way. Studying this text opened my eyes to reading texts in a more thoughtful way and helped me to decide that maybe I did want to study literature further, and I did. Clip from the 1962 film with Gregory Peck. Both college and university were really such a great opportunities for me reading wise as they each introduced me to a huge range of texts new and old, and of all different forms. I first came across Chaucer’s Canterbury Tales studying them as part of my A-Levels; I then went on to study modules in Old English and Medieval English at University. We looked a huge number of crazy texts involving knights, faeries, flying monks and rivers of wine and I loved them all, and it is still an area of literature I am interested now. It still all started with Chaucer though, and so his Canterbury Tales, to me, illustrate how my reading has changed throughout my education, and the growing variety of books I like to surround myself with. 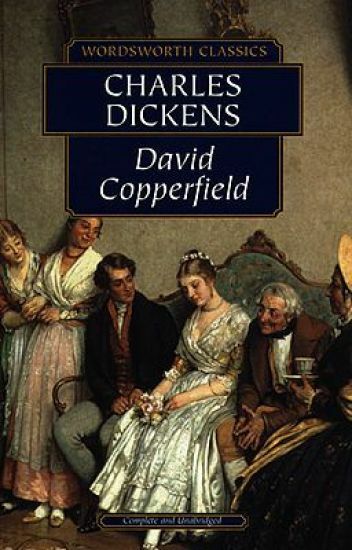 So, I’m kind of saving best ’til last here as Charles Dicken’s big fat novel David Copperfield is definitely in my top 5 books of all time (I did say I enjoy a variety of books!). I first watched the film with my grandparents and in this way the text will always hold fond memories for me. However, I had never actually read the book until late last year. After I finished university, I decided that it was time and I honestly devoured that thing. The book is really 34932463724682x better than the films (no offence), and I couldn’t put it down. 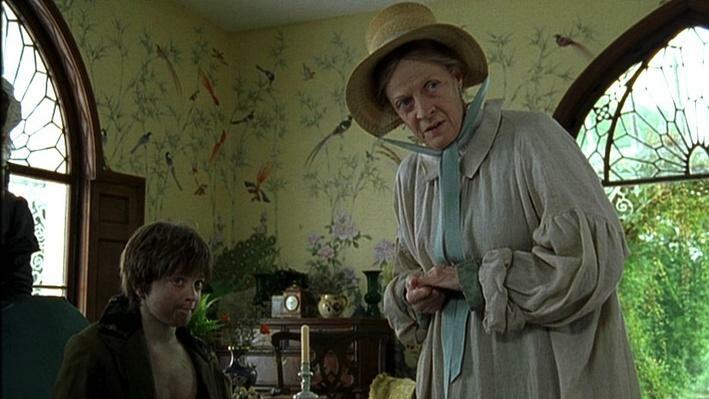 Clip from the 1999 film with Maggie Smith and Daniel Radcliffe. It’s witty, charming and full of great characters as you would expect with any Dickens’ work. While the size may be little daunting, I would wholeheartedly recommend it. It’s brilliant and definitely a huge peak in my reading career so far. My move to London also weirdly coincided with my reading of this book, which made it even better. Which books have been key in your life so far? And which have been the peak for you? That’s a very rich life so far. Hm….in five books…Peter Pan by J.M. Barrie, The Glass Bead Game by Hermann Hesse, the collected poems of Sylvia Plath, Hamlet, Walden…..ah but then there are the fairy tales, and LOTR, and more poetry…..and Virginia Woolf…damn it! I can’t narrow it down. Is it weird to say that I sometimes love authors for who they are and what they’ve been through rather than connecting to their fictional works….because that has also had an impact on my experience with reading. to be honest I was put off by Woolf in uni as well especially her writing. But her biography and her Room of one’s own and just like HER essence is very alluring. I feel the same way about George Sand and George Eliot. Like THEY are by far more interesting than what they wrote. I just think sometimes authors’ lives are interesting, and also their opinions in the form of essay or speech….but their fiction falls short. Even David Foster Wallace…like his speech, essays, and life…WAY better than any of his fiction. Hmm, maybe I’ll look into that a bit! Do you have a good recommendation for a biography on her? I definitely agree on Eliot – she is so interesting and Middlemarch is awful (unpopular opinion I know). I’ll take a look! Thanks! I know exactly what you mean – there’s so many! I love Dorian Gray – still need to get round the Jane Eyre though, everyone loves it! I’ll definitely check out your blog as well, thanks so much.